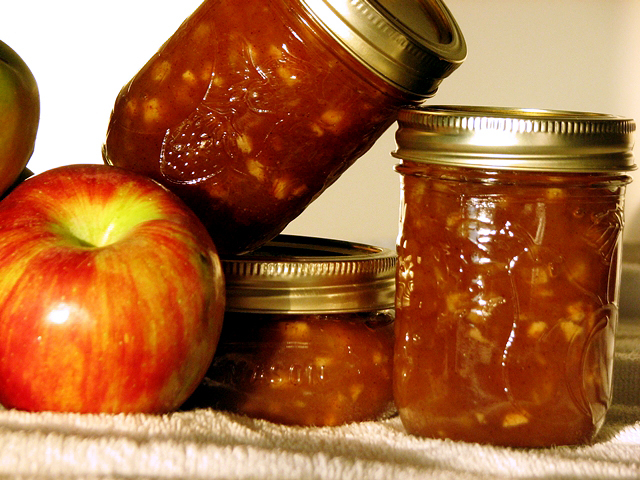 One of my favorite jams is Apple Maple Jam is from a past Ball Blue Book but can also be found here: Apple Maple Jam. The original recipe calls for 1 teaspoon of cinnamon. That is a little strong for me so I only use 1/2 teaspoon. I was recently in the North Carolina mountains during apple season and bought lots of local varieties. This jam is best when made with a variety of apples and real maple syrup.